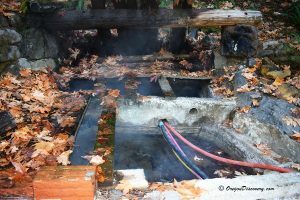 Breitenbush Hot Springs are a series of geothermal springs along the Breitenbush River in the Willamette National Forest. 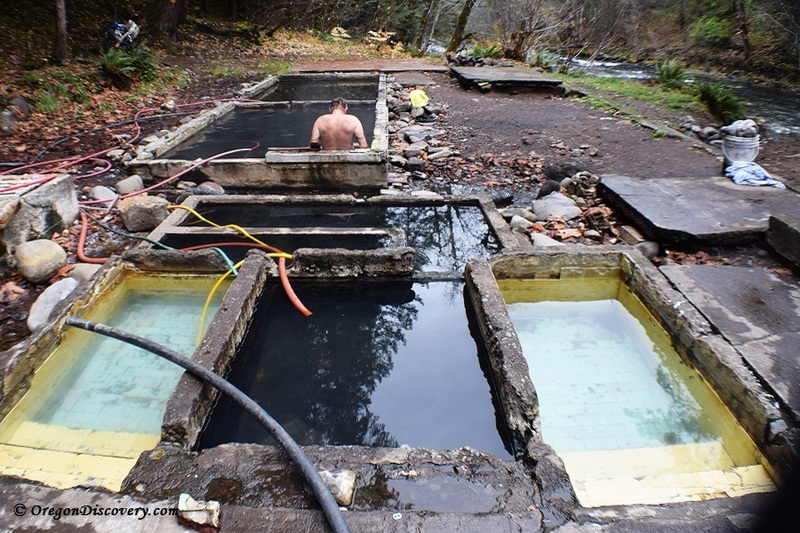 Managed by the USDA Forest Service, Lower Breitenbush Hot Springs is located 600 feet downstream of the Breitenbush Hot Springs Retreat and Conference Center. The hot mineral-rich water on the banks of the Breitenbush River is revered for their curative and rejuvenating properties. The hot springs have been used by local residents and travelers since the time this site was discovered in the 1840s. In the 1910s, Mark Skiff from Salem received a permit from the Forest Service to use the lower hot springs to build a resort. The resort, named Skiff's camp, was built on both sides of the river and included 30 cabins, a lodge, restaurant, shop, bathhouse, and a footbridge across the river. Unfortunately, large floods in the 1970s destroyed the upper and the lower hot springs properties. The upper hot springs were rebuilt in 1977 and, finally, became a popular retreat and conference center. 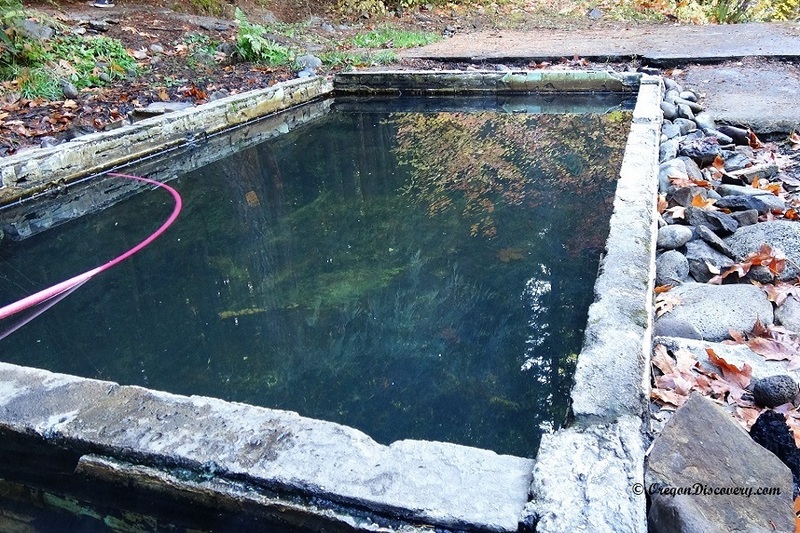 The lower hot springs were never restored. The concrete remnants of buildings, footbridge, and pools are a vivid reminder of the past prosperity and current decline. This spot has the great potential to make the soaking experience safe and enjoyable. Hopefully, the Forest Service that manages this site will find a way to restore the beautiful Lower Breitenbush Hot Springs. 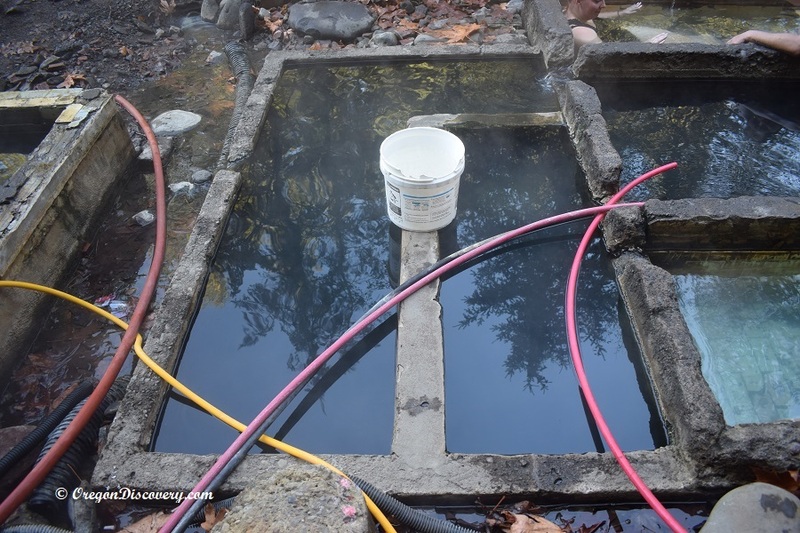 The lower hot springs are accessible by the 0.5-mile trail from the parking area. The excellent hiking trail winds through old-growth Douglas-fir and Western Hemlock forest and leads to the river. When you reach the river, hike along the trail upstream to the hot springs. Also, you can drive to the parking across the river and ford it. Do not cross the river during high water and spring runoff! 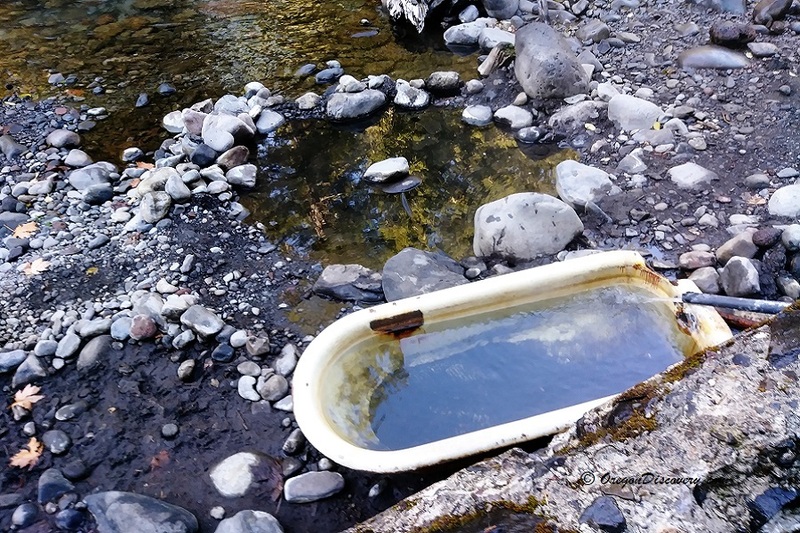 Currently, Lower Breitenbush Hot Springs contains two big concrete pools, a few small tubs, and a couple corroded bathtubs near the river. The source water is up to 150°F (65°C). A few hoses are used to pipe the hot water from the source into the tubs and pools. The temperature in the tubs varies from very hot to cool and can be adjusted by diverting hoses. Due to a lack of maintenance, generally, the mineral water is cloudy. You can brush the small tubs walls, but the walls and floors of two big pools stay slippery and slimy that indicates algae and bacteria growth. 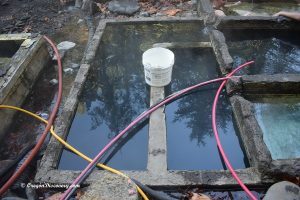 Though Oregon has a lot of hot springs, thanks to its volcanic activities, but there aren't many of them available for public use in close proximity to the most populous cities of the state such as Portland, Eugene, and Salem. Since Lower Breitenbush Hot Springs has located an hour drive from Salem and Portland, this site is overused and abused. Some visitors leave glass and plastic bottles, cans, papers, dirty towels. Please join to the ethics of Leave No Trace! Pack out all trash. If you have an extra bag and see trash that someone has left, please pick it up and get it out. It would help to keep this amazing site safe and clean. Continue 1 mile on NF-890 to the parking and trailhead on the left. Trailhead is located on the left side of the parking area. 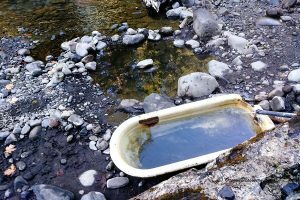 Friends of the Breitenbush Cascades partners with the United States Forest Service and SOLVE for cleanups at Lower Breitenbush Hot Springs and is working on a proposal to rejuvenate Lower Breitenbush Hot Springs. c. To increase the government's responsiveness to the interests and needs of the public.